Distribute Policies and Procedures. Track Compliance. Generate Reports. Everything you need — included. Leverage the powerful design framework of Microsoft® Word or HTML to create engaging policies and procedures for your employees. 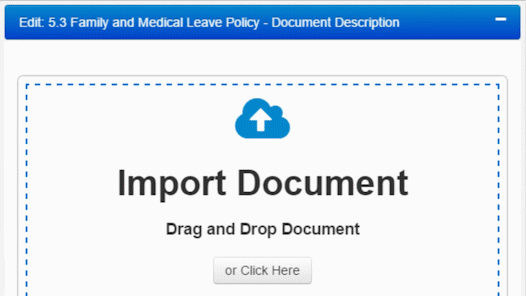 Import and centralize your documents today. DynamicPolicy's built in version control system allows you to view the content history of previously published documents. See what's changed and improve your understanding. No more sending files through email. Assign documents to the groups you want. Users will be notified that they have a new document to review. Generate reports for users or groups, and track certification. Send email notifications to users pending to certify a document. Flexible data export allows you to review the results in Excel for further analysis. On-premises database. Total control of your data located right on your own servers, instead of a remote facility. DynamicPolicy provides the best return on investment (ROI). Now it is even better with our new flexible licensing. Select an annual subscription or the traditional perpetual license. Already have your users organized? Import and synchronize your directory and in an instant all your users have access. You don't have to be logged in to know what's going on, get emails directly from the app letting you know if there's something going on. Support for English, Spanish, Portuguese & French interfaces. Browse and search documents by text, title, or document ID. Customize the application with your company's brand. Change the colors, logo, language. You name it. Ensure that important documents are understood by requiring a quiz. View which questions are often missed to improve your policies. Use folders to organize documents into logical areas. Want to reference an existing document? 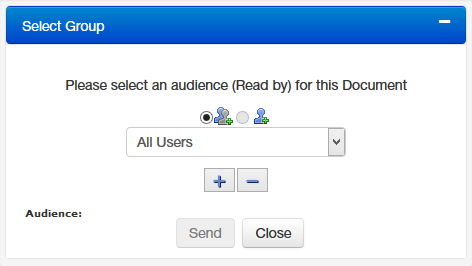 All documents have permalinks which you can share by email, or use in other documents. Each document's history log provides policy audit trails allowing you to see its stage changes.